Look no further! 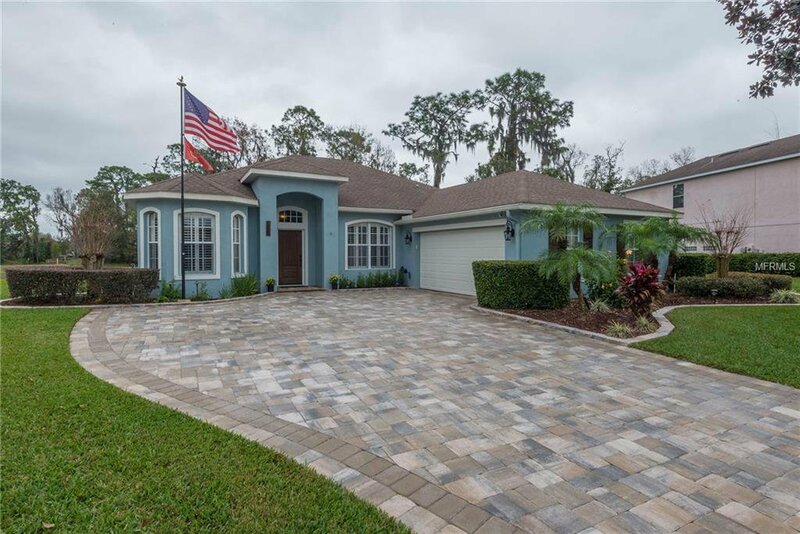 This 3/2+Office POOL home on a large conservation and POND backed lot has a beautifully Updated Kitchen w/STAINLESS Appliances including Digital Wi-Fi enabled Refrigerator, GRANITE Counters, Antique White Cabinets, Glass Mosaic Tiled Backsplash, Under-mount Sink, faucet and light fixtures. New Exterior Paint and Shutters (2018), NEW AC (Oct 2017), Plantation Style Wood Shutters, 5” Baseboard, Wood Plank Tile throughout living, master and wet areas. Newer Carpet in bedrooms. All NEW lighting fixtures and fans throughout. The Spacious Master Suite includes trey ceiling, access to the pool area, dual Walk in Closets. Master bath bas been remodeled to include NEW frameless Glass Shower enclosure w/elegant Arabesque Marble tile boarder and Stone Floor, Custom Barn Style Sliding Door, dual under-mount sinks, Granite Counters, Updated Waterfall Faucets, Mirror & Light Fixtures! NO BACKYARD NEIGHBORS make this Private Waterfront partially FENCED YARD great for BBQs or just relaxing in the POOL! Keep the mosquitoes away in the Screened & Covered Lanai. Other updates include widened custom Paver Driveway, New custom Front Door, Newly landscaped backyard, Custom Barn Sliding Office Door, Updated guest bathroom w/Wood Plank Wall, Waterfall Faucet, Light Fixture and Mirror, New Painted Pool Deck + MORE! You truly must see this model like home for yourself! Walden Lake is centrally located between Lakeland and Tampa. 45 Minute Drive to Orlando. Come see all this home has to offer! Listing courtesy of WEST COAST PREMIER REALTY, LLC. Selling Office: RE/MAX BAY TO BAY.